Being in the military means friends are always coming and going and one of the many benefits of being a member of Church of Christ is you make/have instant friends. We have been here in California for a little over a year and we finally found a church that welcomes and makes us feel like our Church in Indiana. We first attended a different congregation for eight months but it never felt quite at home. The people were nice but even after several months, we still felt like newcomers. We visited different locations and finally placed membership with the congregation in Marina. I really love the fellowship and also happy that the preacher's wife has a baby (youngest of three) who is older than Nathaniel by just a little over a month. 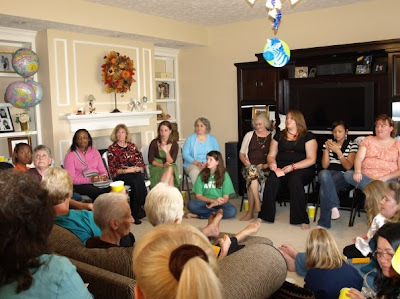 I enjoy coming to the weekly ladies class and getting to know everyone while growing deeper with Christ. For a long while, I struggled with only having acquaintances here in our military lifestyle because I can't find anyone that share our beliefs (and I don't mean just spiritual) and/or are in the same walks of life (junior enlisted, new mother, not a teenager, etc.). Being part of the Church allows me to have sincere friends that also help keep our family in the straight and narrow path.